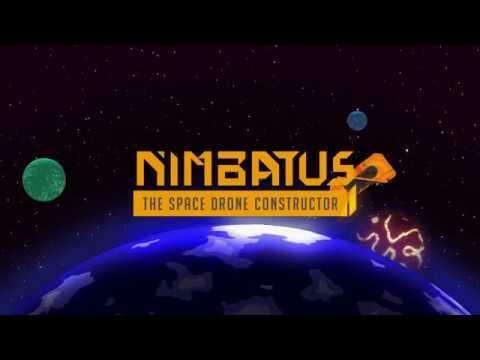 Nimbatus - The Space Drone Constructor [Official Site] is coming along nicely and we have a Steam key away to give you access before the release. Hold on a hot second, what exactly is Nimbatus? Nimbatus is a procedurally generated action simulation game. Craft freely customizable drones and explore an endless universe. Drones interact with the destructible environment in a physically correct manner. On your journey you will find hundreds of different drone components and research groundbreaking new technology. It's a game that was successfully funded on Kickstarter that we wrote about last year. It was impressive for a number of reasons, it has a fully working Linux demo, it already felt very polished and the whole idea was fantastic. Build a drone, make it do awesome stuff with some AI (or pilot it manually) and watch the fireworks. The crazy designs they've been sharing on their Twitter have been mind-blowing. I do recommend checking through some of the gifs, simply incredible. Shut up already! How do I get the key? Reply to this article and tell us what type of drone you would like to build. Hope for the best that you win! Competition will close Saturday 30th June, 8PM BST. Winner will be spent a PM with their Steam key for immediate access. Note: Just be aware, it's currently in a "Closed Alpha" state and so bugs are to be expected. They're expecting to enter Early Access later this year around September/Octobet time, with a full launch next year. The additional key we're giving away was provided to us by the developer, as I myself personally backed the Kickstarter campaign. I'd like to build a huge winged drone! I'd like to build a Ghost drone... for some stealth gameplay!!!!! But I think that's not the spirit? Ok, so grab me a firedrone, something with a flame thrower! Is that possible? Is there oxygen on the planets so that I can get flames? I would like to build a drone with the ultimate arsenal ready for battle. I would build a drone that follows me at a close distance, playing sound effects from time to time.